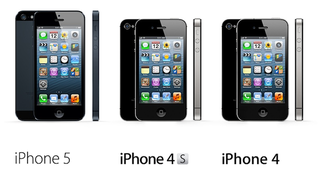 Apple just announced that the iPhone 5 is going to cost $200 and release on September 21st. Get ready because that's about a week and a half from now. If you want to be smart and skip the line though, you can pre-order the new iPhone starting on September 14th. The iPhone 5 comes in the same 16GB/32GB/64GB white or black models as before for the same $200/$300/$400 under contract, respectively. And just like last year, AT&T, Verizon and Sprint will carry the iPhone 5 with T-Mobile still inexplicably on the outside looking in.